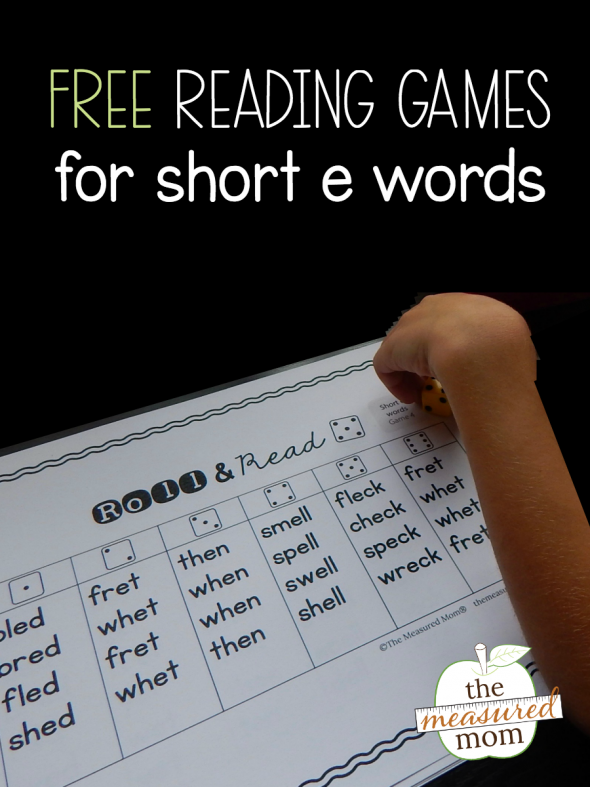 Grab our free no-prep games for reading short e words! 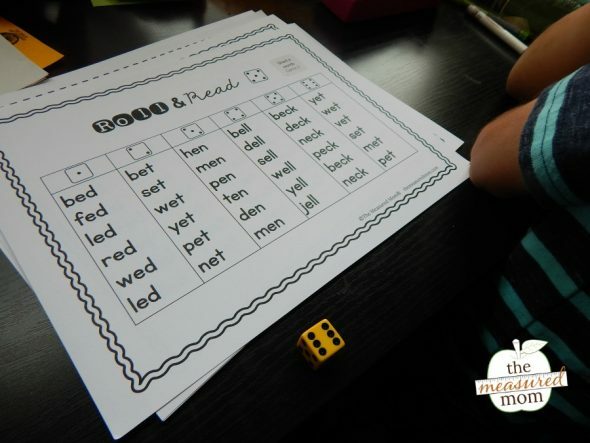 Today I’m sharing a set of games that you can use to help your learners read short e words. 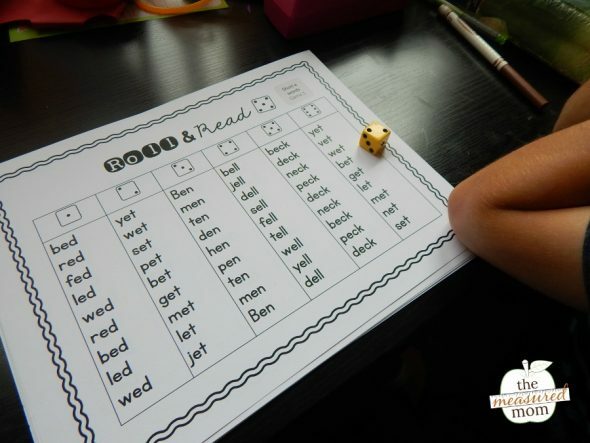 The great thing is that they come in six different levels – perfect for differentiation! Simply print the game of your choice and give it to a pair of students. They can take turns rolling the die and reading the corresponding column. The above image shows the simplest version. Game 2 is slightly more challenging. Like game one, it has rhyming short e words in each column. But it requires students to read a few more words on each turn. This one is for your speed readers – it has nine words per column. 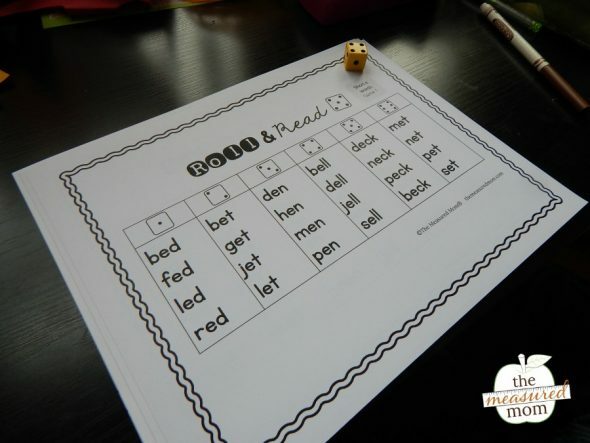 If you have readers who are ready to read words with blends and digraphs, Game 4 is for them. Game 5 adds CVC words to the words with blends and digraphs. 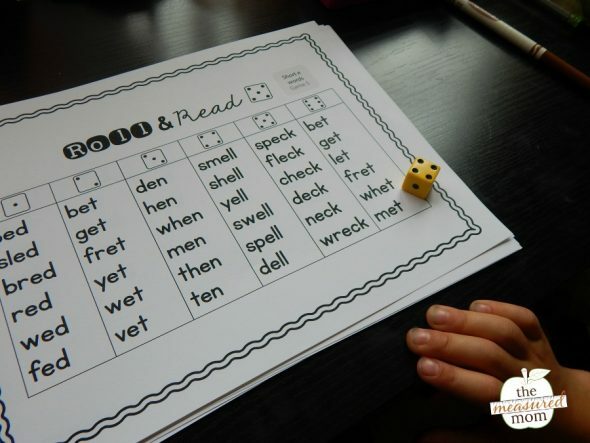 The last two games look simple at first glance, but they include a mix of short e words – no rhyming words here! Your students really have to attend to all the parts of the words. 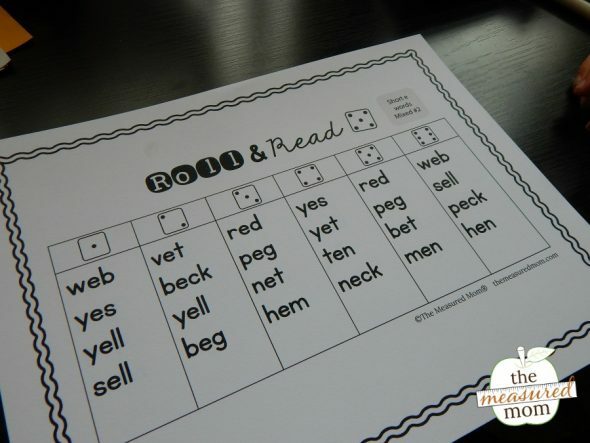 Use them in a tutoring or homeschool setting by taking turns with your learner. 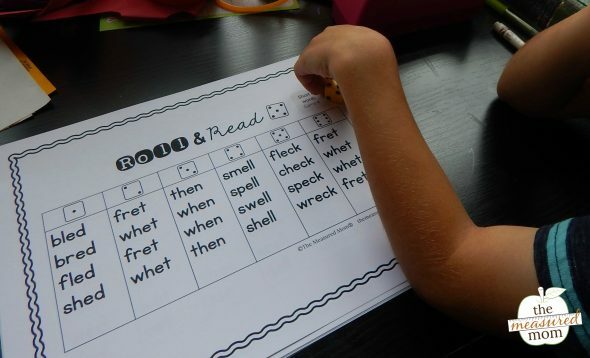 Pass them out, put students in pairs, and use them as a quick review at the end of a whole class phonics lesson. Put them at a fluency center so students can work in pairs to get stronger at reading with automaticity. 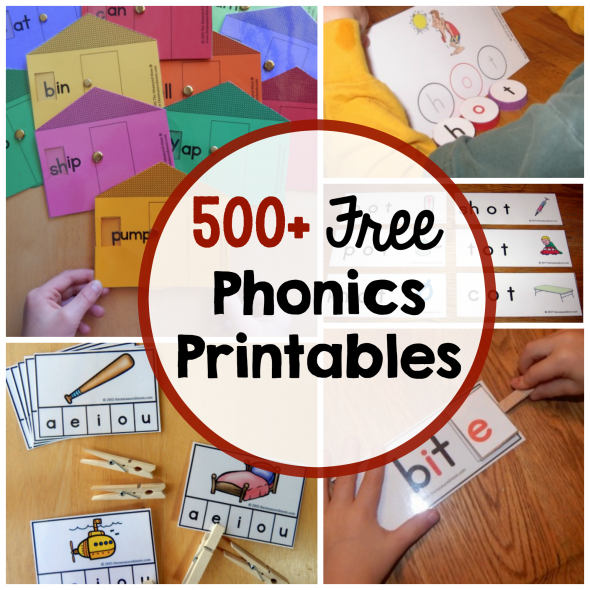 Don’t miss the rest of our phonics freebies! Anna, I am a teacher in New Zealand and I really appreciate your generosity by sharing these free printables. I use many of them in my classroom. You obviously put alot of time and effort into making them. So thank you. You’re very welcome, Shona! I’m so glad my resources are working for your students! Hi Anna I just want to say that your games and free printable are fantastic ! I use them often in my classroom. The students love it and most of them are very engaging. Thank you for sharing ! You’re very welcome, Fiona! I’m glad my resources are working well for you and your students! Thank you for all that you do. 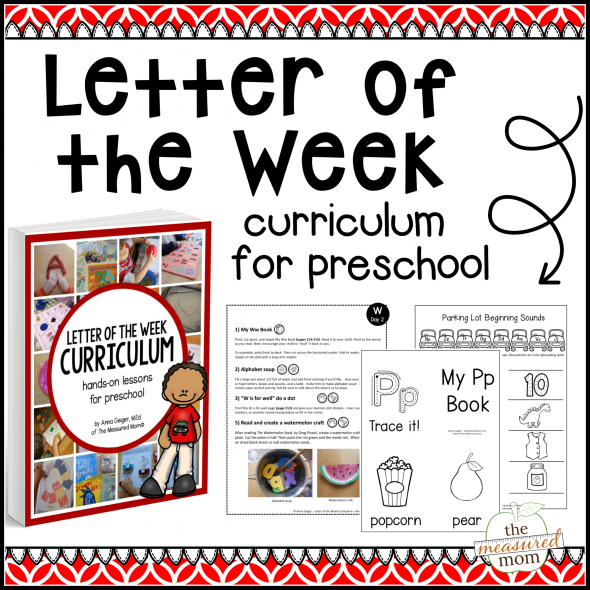 I teach grades K-2 special education and I love your resources. They are engaging, practical, and easy to differentiate for all of my students at different levels. Thank you for sharing them so generously! I really appreciate you sharing this valuable tools! Thank you so much for the kind words, Lori! Thank you so much for your generosity. It’s very helpful for my kid. Thank you so much for your generosity! My school has begun a new small group phonics and PA program (K-6). Your free games and activities have been a treasure to help us build our resources. You’re very welcome, Cindy! I hope you find many helpful resources on my site. You’re very welcome, Irene! I hope you find many helpful resources on my site.